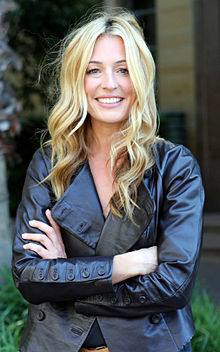 See the gallery for quotes by Cat Deeley. You can to use those 8 images of quotes as a desktop wallpapers. I started off doing live TV, so I kind of learnt that if I get myself into trouble, I get myself out of it. I think that if you keep your eyes and your ears open and you are receptive to learning, there are skills you can get from any job at all. I understand how important hair is to a woman's self-esteem and confidence. I used to say I wanted somebody funny and intelligent, but kindness is the most important quality in a man. I was sent to ballet classes when I was a little girl. I wasn't very good, but it's that thing where little girls always try ballet, or whatever. I'll never stop appreciating how lucky I am. I'm a great swimmer, probably due to the size of my feet. I'm just incredibly interested in people. In Britain, it's almost as if we're ashamed of having ambition and drive. It's great to admire other people's fashion choices, but I don't think you should idolise anyone. Jewellery is a great way to take your look from day to night. Listen, I would love to win an Emmy at some stage or another. I can't pretend not to. My house feels like a proper home. It's very relaxed with a hippyish vibe. Nothing gets you to mend your heart quicker than throwing yourself into work. Style is a very personal thing and women should develop their own individual look. Stylists aren't for me. I tried to use one when I first started working in the U.S., but I didn't click with anyone. The only time I ever look good dancing is if I'm next to my dad at a wedding. The trouble is that as women we try to take care of everybody else before we take care of ourselves. There are fit men everywhere, so I'm working my way through them, one at a time! 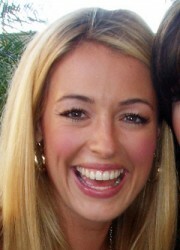 Much more quotes by Cat Deeley below the page. I'd say to any woman, get out of that bad relationship that's turning you into a shell of your former self. Learn from it and get out. Then wait; enjoy yourself and your friends because, when what you want comes along, you'll spot it. I've been out with men who have literally had an argument with the mirror because they couldn't get their hair right. When I was younger, I might have reassured him, but I can't do that anymore. One thing for me that modeling definitely did was that you go to do a different job every day, and you are working with a completely new team of people. You have to learn how to talk to people and how to creatively achieve the same goals. I think it just hones your people skills. Success is hard in general for most women. We now have such busy lives, and we're told we can do everything - you know, we can have the relationship and the marriage and the kids and the career. To have family behind you who love you more than words can say gives you so much confidence, because it allows you to go off and be who you want to be. I enjoyed school, I was a bit of a square. I did very well in exams. I was quite lucky I was academic. You are so much better off on your own than with the wrong person. If I'm interviewing someone I need to know everything about them - I do these massive spider diagrams. Everything under different categories, and certain questions in other categories. All great reality shows have a very, very similar format. That's why it was so easy to parody. I can't dance at all by myself. I can't lie... My face always gives me away. I'm also pathetically bad at poker! I choose what to wear depending on how I feel and what I'm comfortable in. That's when you look your best. I don't feel any pressure to lose weight - and in any case, if I didn't have my food I'd be a nasty piece of work and wouldn't be able to function. I have a Damien Hirst spot painting which I love. It has pride of place over my dining-room table. I love bold, colorful party dresses because they don't need accessories. Just throw one on and you're done. I love people who are very honest and very open and don't pretend to be anything they're not.